So folks, we've just returned from a girly weekend in York. Thankfully the three friends I went with are all bakers (not butchers or candlestick makers) and are all big foodies. Our weekend ended up turning foodie, so I thought I’d share some highlights with you all. We started off by visiting Jamie’s Italian on Friday night, before friend 4 arrived. The restaurant was good – the pasta was delicious and made on the premises. I enjoyed the tagliatelle with truffle. We event managed a cheeky Prosecco with dinner. 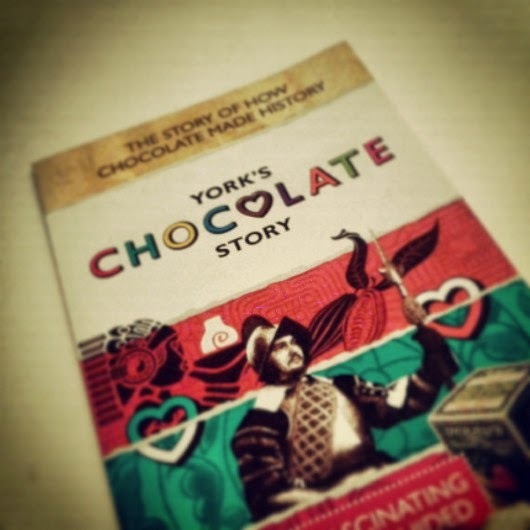 On Saturday afternoon, the four of us decided to take a trip to York’s Chocolate Story where, for £10, we were part of a group tour, got to enjoy chocolate tasting and learnt all about the history of chocolate in York. 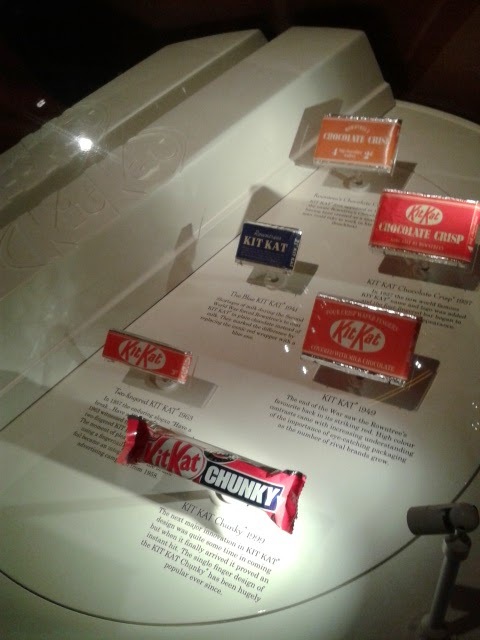 The whole thing was fascinating – we even learnt that at one point, the Rowntree Factory employed over 14,000 people. Unreal! The tour took us back to the early days of chocolate – the history of the tribes who harvested cocoa beans and so forth. One of the highlights of the tour was the interactive chocolate making circle, where we all learnt about the various types of chocolate, how the beans are dealt with, how cocoa butter is extracted and what components are required to make milk, white and dark chocolate. 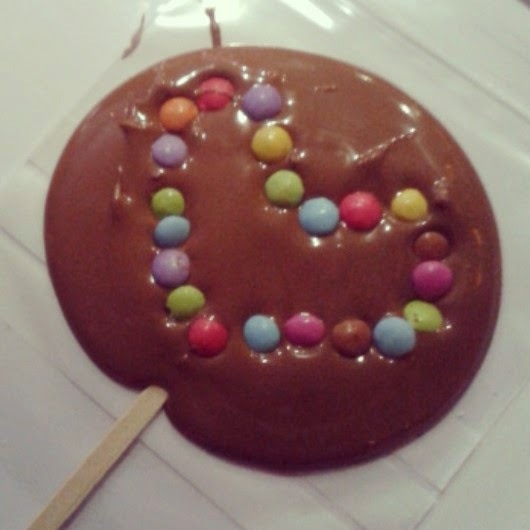 The highlight of the tour was making chocolate lollies – a fairly simple task in itself – involving acetate, melted chocolate, piping bags, and lolly sticks – but nonetheless great fun. Whilst the rest of the group threw on their decorations, we were typically the ones who decorated our lollies with care and style! At the end of the tour, we went along to a demo on artisan chocolate making, which was really useful (and something I’d like to try more of, for the blog). 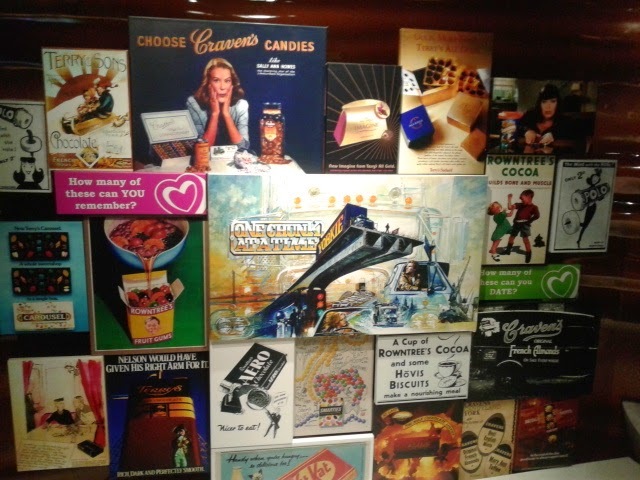 Then, you guessed it, we got to try the chocolates which had been made. 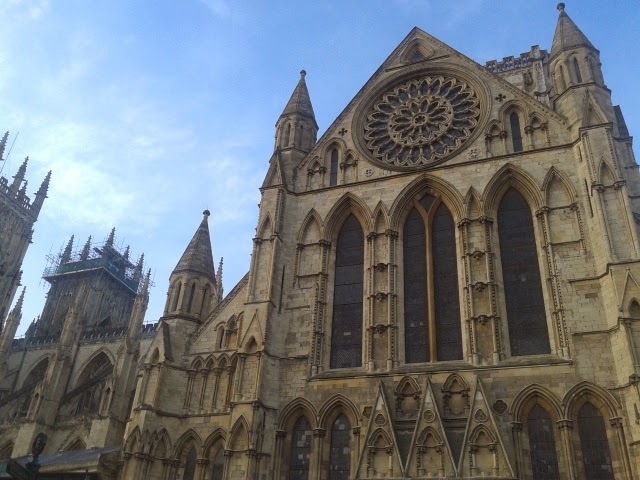 All in all, this was a great afternoon in York and we all felt the tour and incredibly enthusiastic girl who was our guide, made for a brilliant experience, which was value for money. 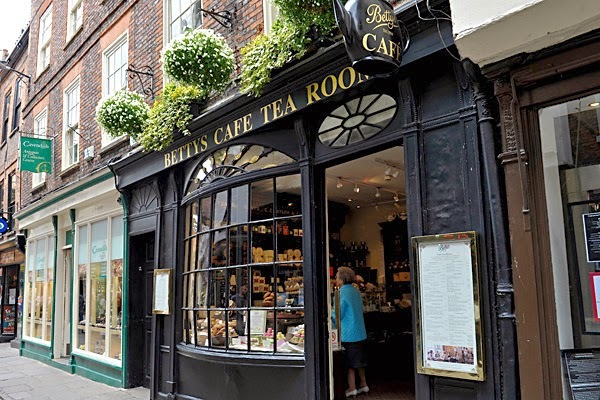 Before we left on Sunday, we visited Bettys Cafe Tea Rooms - an institution in York. 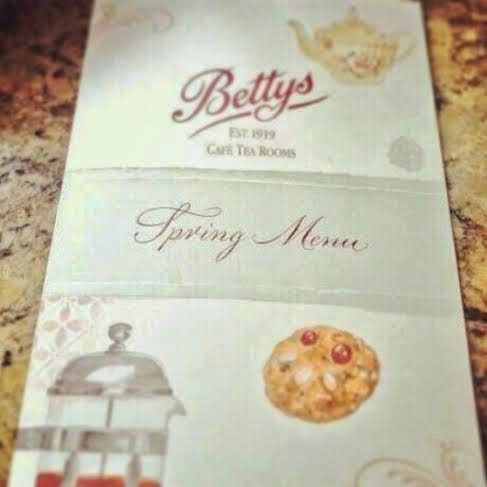 I've always wanted to go to Bettys. Not only do I love tea, I love everything quintessentially British about it. We originally planned to go on Saturday, but as it was queued out the door, went back on Sunday for brunch, visiting the Stonegate branch, before taking the train back up to Scotland. My friend is coeliac and sometimes, eating out can be a nightmare for her. However, the incredibly attentive staff took a great deal of time in running through the menu with her so she could enjoy a gluten free brunch with the rest of us. 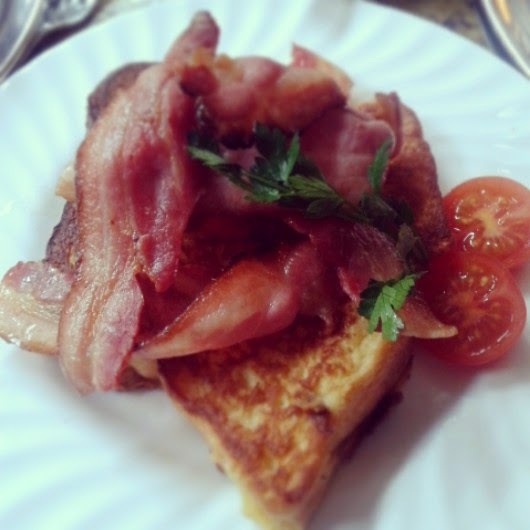 I opted for the Brioche French Toast with Bacon for my brunch. It was completely delicious and perfectly complimented my breakfast tea pot. There’s something lovely about enjoying breakfast, rather than throwing it down your neck, as you do, on a rushed weekday morning. Despite being busy, the staff didn't rush us, we had time to chat and enjoy our food. Whilst not cheap, Bettys was worth every penny if you are a tea aficionado or a lover of proper home-made cakes and pastries. Before departing, we visited the shop downstairs and all left with the obligatory brown paper bags. The macarons, priced at only £1.00 each were a great investment to bring home for family and friends. The shop had a selection of 6 flavours and I went for raspberry, passion fruit, salted caramel and chocolate macaroons. I have to confess, most of them never actually made it to the family. I also need to comment on Bettys amazing home made tomato chutney. We enjoyed it with our brunch and my friend even left with a jar to take home. 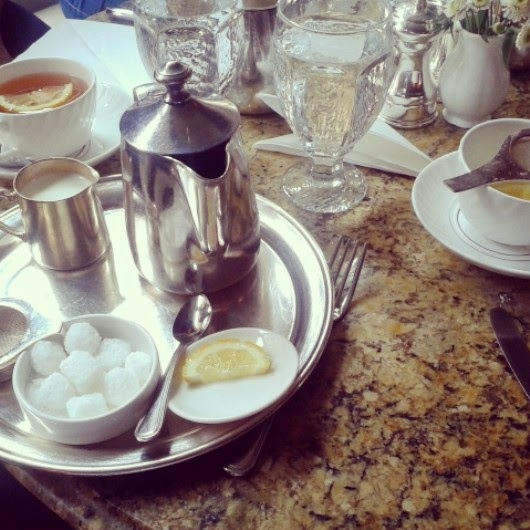 If I’m back in York, I’d be sure to visit Bettys again and would highly recommend it for a special lunch, brunch or afternoon tea with the girls. In a nutshell, we had a great weekend in York and enjoyed meandering down the winding cobbled streets, popping in and out the vast selection of sweet shops, gift stores and boutiques. I've no doubt we will return again soon.